For most healthcare providers, revenue must flow to maintain organizational health. 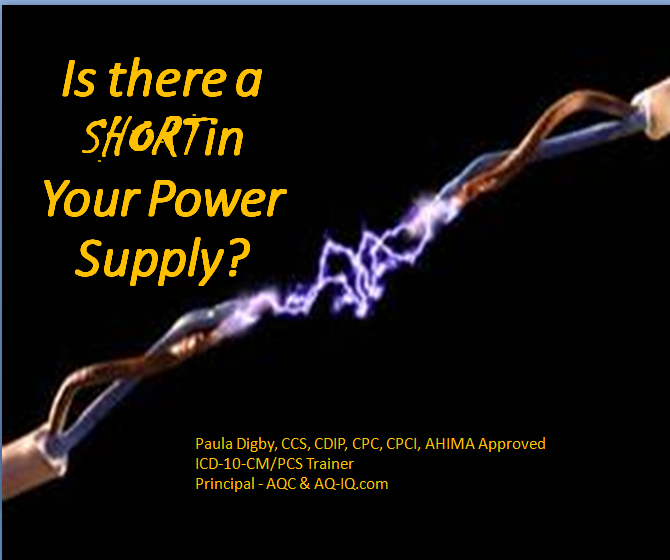 The ‘power supply’ therefore, is the proper flow of revenue. Unfortunately, some organizations experience a disruption in revenue that threatens serious malfunction. In this session Paula Digby explains how to identify and repair these ‘short circuits’ that damage revenue. 3 Must Do’s for FULL POWER!